We have all heard of insomnia, but, in fact, many people are victims of ‘semi-somia’, triggered by stress and computer use. It became the new label for low-quality sleep and it is wrecking millions of lives. One-in-three Britons now suffer sleep problems and hormonal issues. Women are plagued by insomnia more than men. 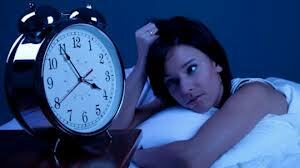 Surveys (most recent data from 1999-2004) conducted by the the National Sleep Foundation (NSF) show that at least 40 million Americans suffer from sleep disorders and 60 percent of adults in the United States report having sleep problems a few nights a week or more. A research involving over 200,000 participants has provided that hypertensive patients who sleep for less than five hours per night have an 83% chance of developing stroke. The amount of sleep required by each individual actually differs, but it might help to see your doctor if you are suddenly sleeping much less without any explicable reasons, or over-sleeping without any known reasons over a long period of time. Researchers at the University of Chicago report in the Journal of the American Medical Association that too little sleep can promote calcium buildup in the heart arteries, leading to the plaques that can then break apart and cause heart attacks and strokes. The study does suggest that doctors and patients should consider sleep in addition to the more familiar hazards for the heart such as high cholesterol, hypertension and diabetes. Study at the University of Warwick linked a lack of sleep to a range of disorders which often result in early death. Chronic short sleep produce hormones and chemicals in the body, which increases the risk of developing heart disease, strokes and other conditions such as high blood pressure and cholesterol, diabetes and obesity, according to the study based on the experiences of hundreds of thousands of people across eight countries. First, the decline in light triggers the production of the sleep-inducing hormone melatonin ( melatonin is a hormone (N-acetyl-5 methoxytryptamine) produced especially at night in the pineal gland located deep in the brain. Its secretion is stimulated by the dark and inhibited by light. Secondly, our temperature starts to fall. Thirdly, our mind and body relax, allowing our nervous system to switch off. Using modern technology interferes with each of those steps. Sleep is when the mind processes the information we’ve taken in throughout the day, but the huge amount of material we now consume online can simply be too much to deal with. Studies have also found bright screens can reduce melatonin levels by almost a quarter, while research has shown that people exposed to the radiation given out by mobile phones before bed take longer to enter the deepest stages of sleep – and spend less time there. “Good Night” is the spearmint flavoured melatonin based solution which is designed to help promote rest and sleep. You simply spray product directly into your mouth and it goes to work immediately. One of the tremendous benefits offered by the oral spray delivery system is that it works quickly – no waiting around for a tablet or capsule to dissolve in your stomach. Another great thing about “Good Night” oral spray is that it does not leave you feeling groggy in the morning, which can happen with many of the OTC sleep aids. Melatonin is a hormone (N-acetyl-5 methoxytryptamine) produced especially at night in the pineal gland located deep in the brain. Its secretion is stimulated by the dark and inhibited by light. Supplementation of melatonin is now a popular relief in case of jet-lag and disturbances of sleep without major known side effects. In the body melatonin play many roles. Importantly, this substance is a highly important antioxidant which helps body to fight free radicals. It also stimulates the main antioxidant enzyme of the brain, glutathione peroxidase – the powerful antioxidant produced by the body itself. Both animal and human studies have shown melatonin to protect against radiation-induced cellular damage.